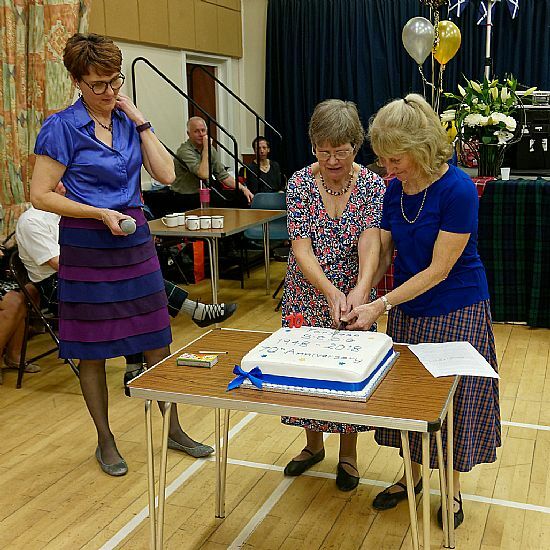 Fortrose Scottish Country Dance Group was formed in 1948 and has been popular with local dancers ever since. 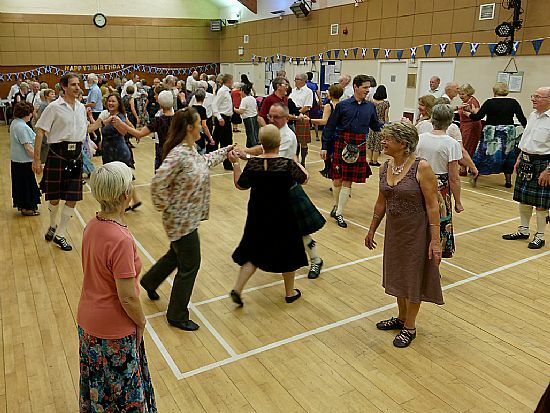 We meet in the Gordon Memorial Hall, Rosemarkie on Monday nights between 7:30pm and 10:00pm from September to April. 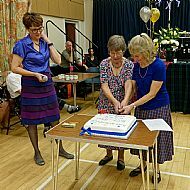 Last year we celebrated our 70th Anniversary at our annual dance rally on 16 November - see photographs below (click on photograph for larger image). The weekly class caters for all levels of experience and is the main focus of activity. Beginners, experienced dancers and visiting dancers are all made welcome and our dance programme is always flexible enough to suit all levels of ability. The emphasis is to have an enjoyable evening with like minded friends. The class dances to recorded music. 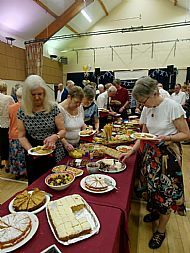 An evening's dancing only costs £2.50 for non-members and £2.00 for members (annual membership fee is £5.00) with tea/coffee and biscuits included. 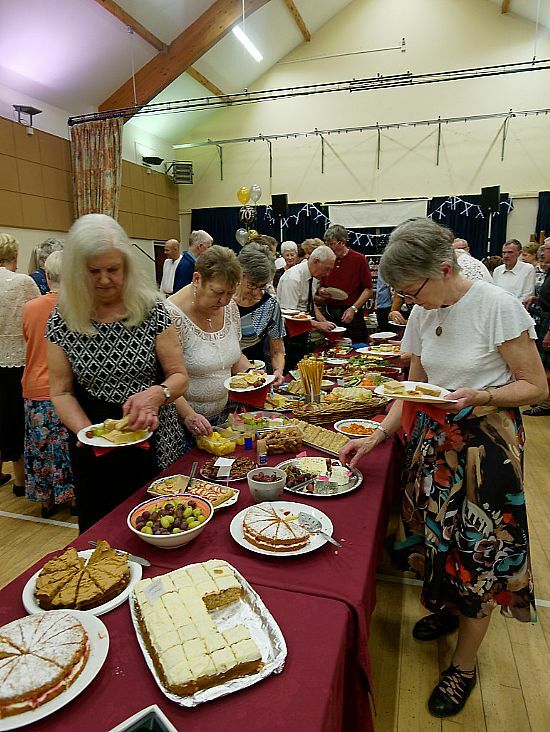 In addition, we hold two main social events each year - a dance rally in November and a party in February when we dance to the best of live bands and provide a buffet supper. 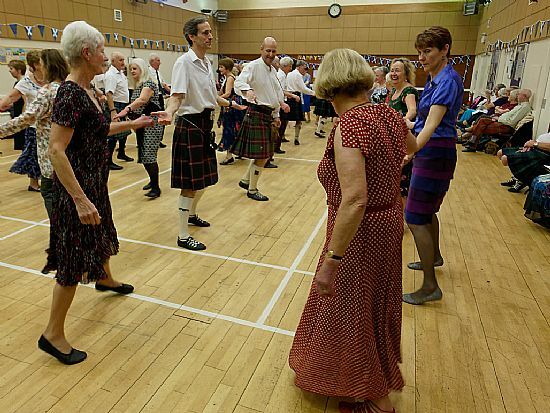 These events attract many dancers from the surrounding area and beyond. 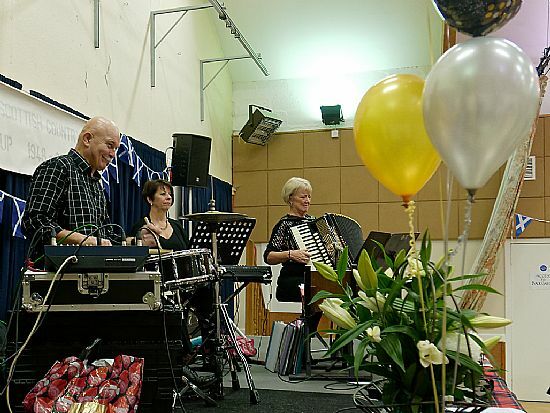 Our main intentions are to enjoy Scottish Country Dance music, successfully perform a varied programme of dances and to have fun. However, we have been known to take part in the occasional dance competition and have even performed at an international dance festival in Austria! 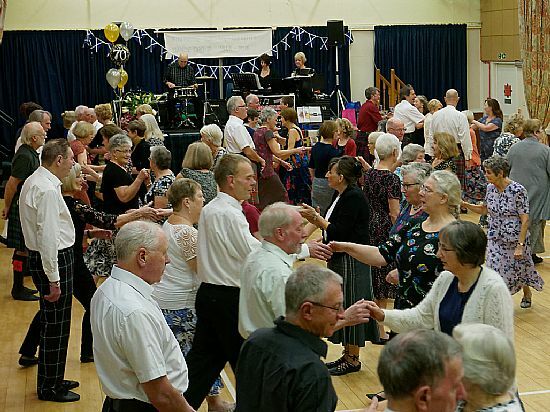 Dancing with a full hall and great music.